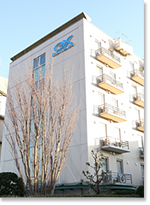 【KEIKYU EX INN】KEIKYU EX INN Hotels are conveniently located within a five-minute walk of the nearest railway station and offer convenient access to business hubs, downtown Tokyo, and Haneda Airport. 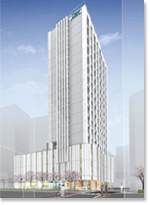 3 minute walk from the Takanawa Exit of JR/Keikyu Shinagawa Station! Easily accessible and perfect for business or pleasure. 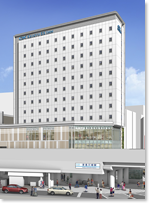 5 minute walk from the central gates at JR Akihabara Station. Easily accessible and perfect for business or pleasure. 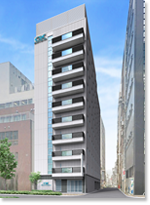 2 minute walk from the East Exit of JR Asakusabashi Station or the A3 Exit of Asakusabashi Station on the Toei Asakusa Line! 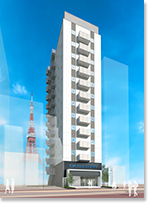 Located close to Akiharabara, Asakusa and the TOKYO SKYTREE. 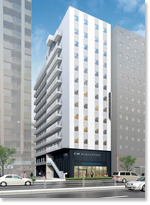 Conveniently located just a three-minute walk from exit 5 at Higashiginza station on the Toei Asakusa Line or Tokyo Metro Hibiya Line for hassle-free access to the main tourist attractions of Tokyo as well as its business districts. Easily accessible and perfect for business or sightseeing. 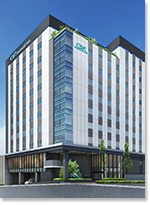 One-minute walk from Exit A5 at Daimon Station (Toei Asakusa Line/Toei Oedo Line).Convenient access makes this the perfect hotel for business or sightseeing. 1 minute walk from the A4 exit at Sengakuji Station. Easily accessible and perfect for business or pleasure. Next to the North Exit of Keikyu Shimbamba Station! 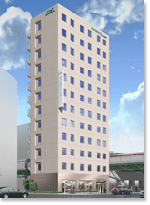 Easily accessible and only 3 minutes from Shinagawa Station via the Keikyu Line. Next to Omori Kaigan Station on the Keikyu Line! Offers direct and quick connections to Haneda Airport, Shinagawa and beyond. 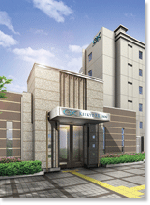 5 minute walk from JR Kamata Station or Keikyu Kamata Station on the Keikyu Line! 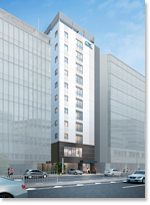 Offers quick and easy access to Haneda Airport, downtown Tokyo and Yokohama, perfect for business or pleasure. 3 minute walk from Tenk?bashi Station on the Keikyu Line/Tokyo Monorail! 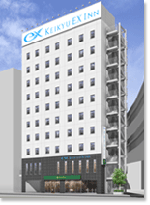 1 minute walk from Keikyu Kawasaki Station. 5 minite walk from JR Kawasaki Station. Easily accessible and perfect for business or sightseeing. 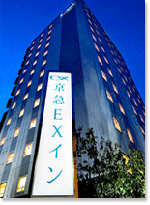 2 minute walk from Northeast Exit A of Yokohama Station! 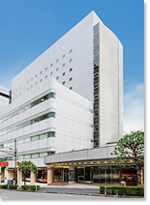 Conveniently located close to major tourist destinations in Yokohama. 5 minutes by Keikyu bus from Keikyu Line YRP Nobi Station. 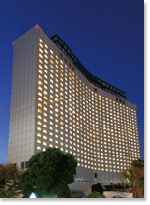 Easy access to and from Shinagawa and Yokohama, and takes about 1 hour frome Haneda Airport.